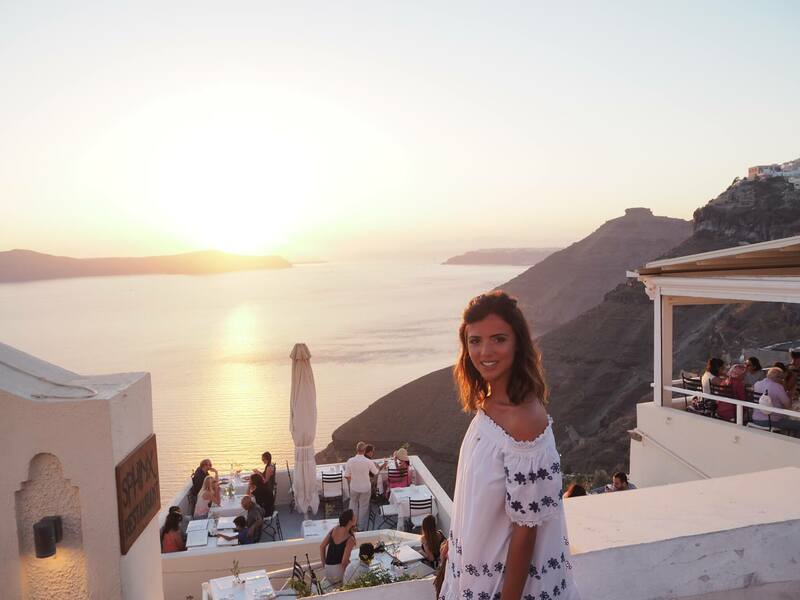 I had heard amazing things about Santorini from a couple of my friends and I thought “hey, I have worked hard for this, I am jetting off!” so I boarded that plane and was so glad I did…. I have to say, this hotel really was idyllic, simply for the incredible view! 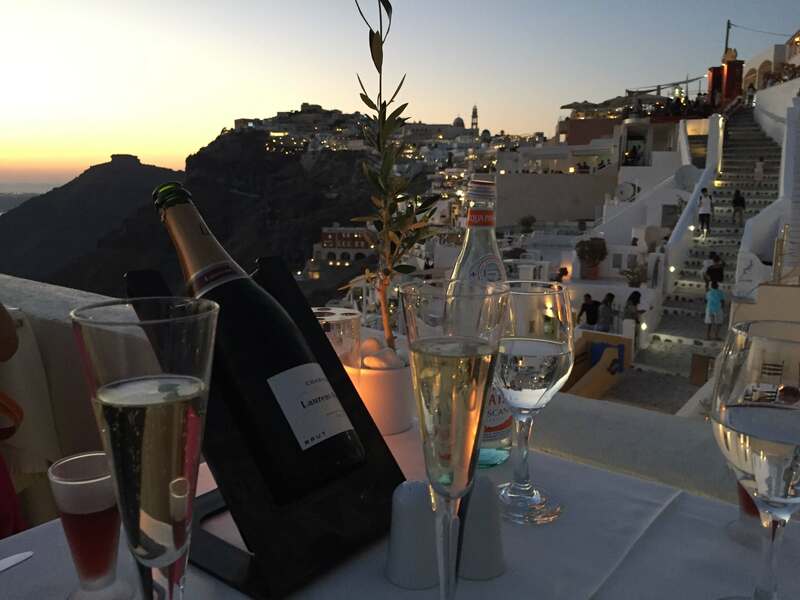 If you are after the perfect sunset then Santorini will not disappoint – the view from my room was stunning. 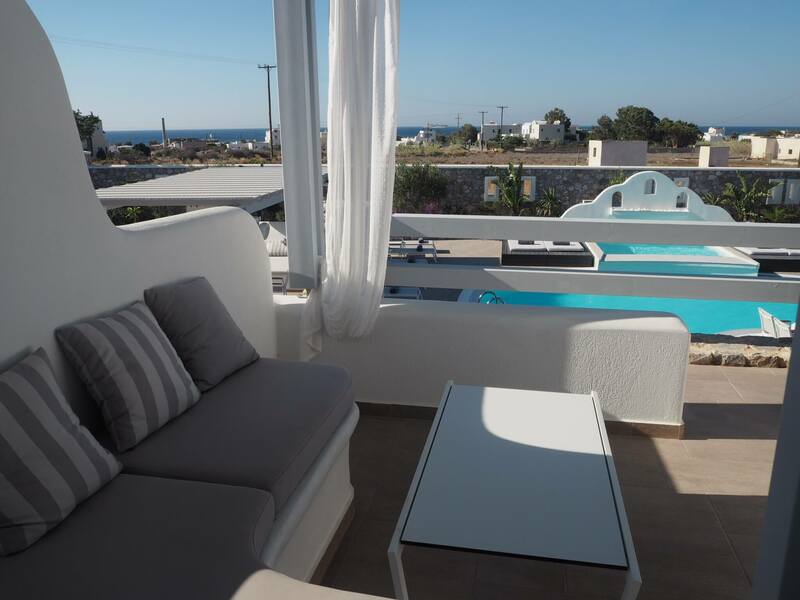 I stayed at the Orabel Suites which is a small, boutique hotel with about 11 different suites – all with a private terrace and hot-tub which is perfect for watching the sun down go… accompanied by a glass of fizz or a cocktail of course! A totally unique aspect though was the breakfast which was a like a little slice of heaven on earth. As you know, I am a serious foodie and breakfast is definitely my favourite meal of the day. 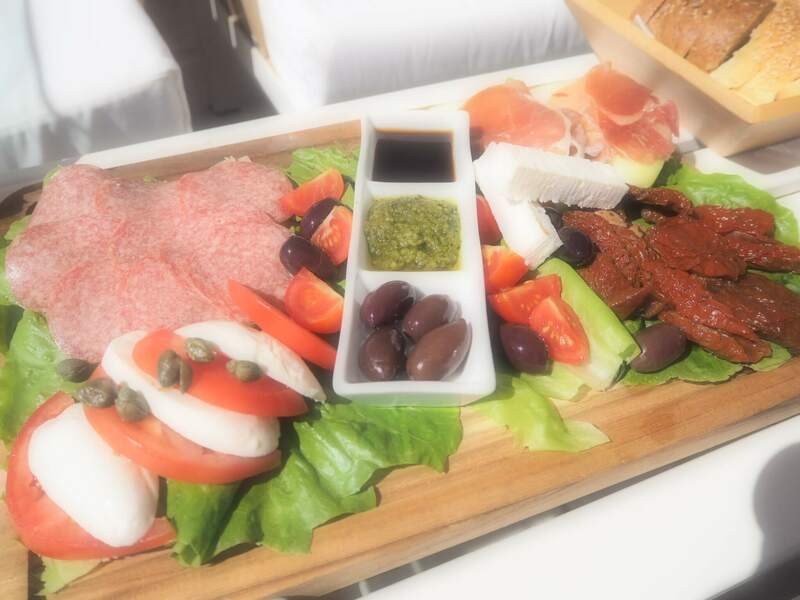 So, you call down to reception about 20 minutes before you want to eat and then they come along and lay out the most amazing breakfast spread on your terrace – a totally bespoke breakfast! 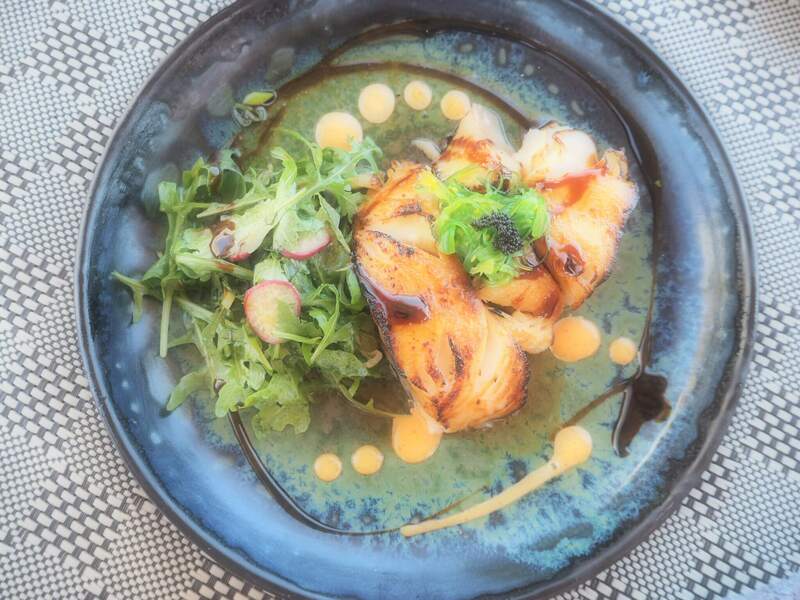 And the best bit, is over the rest of your stay they take note of what you eat more/less of and amend the spread. Where can I sign up for that service every day!? 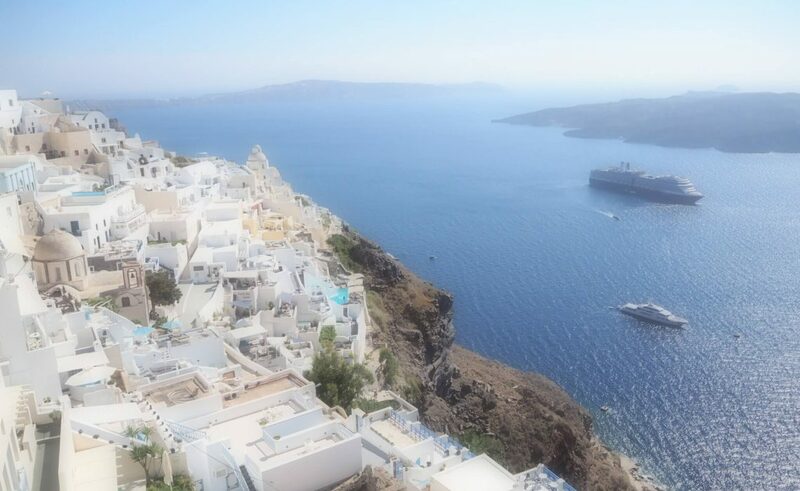 The hotel is about 20 minutes from Thira airport and about 25 minutes taxi ride into the centre, Fira so it is in a great location if you want a quiet spot to relax but also still get into the town easily. The only downside I would say, is that Agois Georgios Beach is about a 5-10 minute walk along a busy road with a few stray dogs and cats on it, so not the nicest of walks… but I have since thought it would actually be a great location for a shoot – it is like something out of Mad Max! As is the case a lot nowdays, you have to get out of your comfort to find hidden gems and that is exactly what happened. 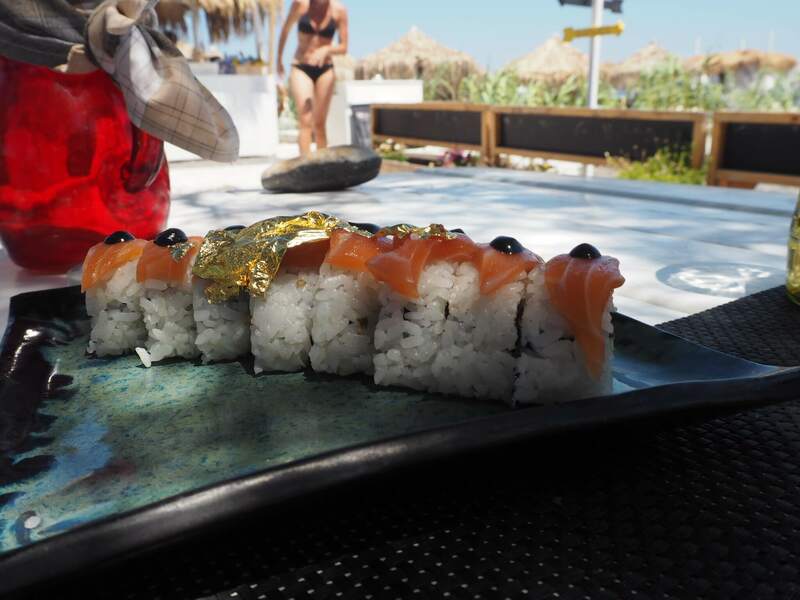 The beachfront was gorgeous with about 7 or 8 really cool and chilled Beach Clubs serving everything from Greek good to Sushi! Most days I ate Sushi for lunch at Noto’s. The ultra-cool beach club had huge sun-loungers and bed to sunbathe on and the whole scene is just stunning with the blackened sand beach. It was a great spot for lunch and I have to say the Sushi was insane!! This was another favourite of the beach clubs! They have a live singer and saxophonist which play great music including chilled beach vibes and classic tunes. Plus, the owner came over and talked me through the menu and wine list which I thought was a lovely touch. Their speciality dishes were delicious! This place was great for a super chilled afternoon sipping on cocktails and nibbling on Meze. There is also great views of all the yachts (…and day-dreaming of being on one!) and also another spot for a great sunset! Fira is perfect for shoe lovers, like me!! Especially if you love gladiator sandals. There is a really cute maze of cobbled streets with loads of boutique stores, restaurants and arty shops which was fun for browsing especially when it was boiling hot! One of my favourite shops was Ammos. They had 2 stores, one slightly more expensive, which stocked some really cute stuff from some of my favourite brands like Missoni. I had so much fun trying on loads of shoes in there! Overall, I adored Santorini and definitely want to go back there. For me, staying just outside of Fira was perfect. I had my own little secluded area to relax but could also go and join in the fun in the main town – it was the perfect balance! Now I really have the holiday blues…. Can we go back! ?